The Last Panthers scribe, Jack Thorne, has been tapped to write the His Dark Materials TV series adaptation set at BBC One. The show is the first commission from UK/US production company, Bad Wolf and is New Line Cinema’s first British television project. BBC One commissioned His Dark Materials to series, in November, 2015. The drama will be produced by Bad Wolf and New Line Cinema for BBC One. 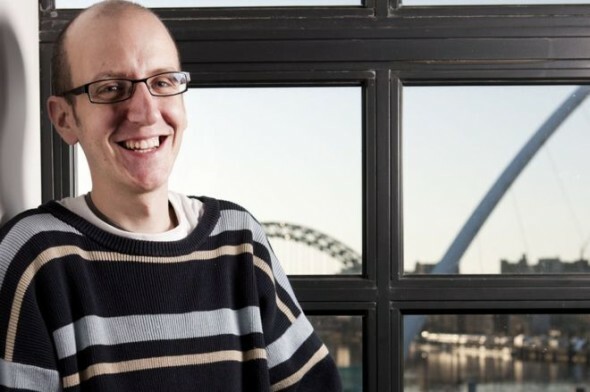 Following last week’s historic triple nomination in three separate Bafta TV categories – Drama Series, Single Drama and Mini-series – Jack Thorne has been announced as the writer on the much-anticipated new drama series based on Philip Pullman’s epic fantasy trilogy of novels, His Dark Materials. His Dark Materials is the first commission from Bad Wolf, the UK/US production company founded by Jane Tranter and Julie Gardner and co-sited in South Wales and Los Angeles, and is New Line Cinema’s first move into British television. His Dark Materials is one of the supreme works of imaginative fiction for both children and adults published in the 20th century. It has been published in more than 40 languages and has sold worldwide close to 17.5 million copies. The series will be executive produced by Philip Pullman, Jane Tranter and Julie Gardner for Bad Wolf, Toby Emmerich and Carolyn Blackwood for New Line Cinema, Bethan Jones for BBC One and Deborah Forte for Scholastic. Commissioned by Charlotte Moore, Controller of BBC One and Polly Hill, Controller of BBC Drama Commissioning, His Dark Materials is produced by Bad Wolf and New Line Cinema, and will be made in Wales for BBC One. Jack began his screenwriting career on Shameless and Skins and lead wrote the darkly comic C4 series Cast Offs, broadcast in 2009. Jack’s television work includes The Fades for BBC Three, and This Is England ’86, ’88 and most recently ‘90. Jack created the rural teen drama GlueE for E4, which premiered September 2014, and his original pan-European crime thriller for Sky and Canal+, The Last Panthers, aired last autumn in Europe and transmits stateside on Sundance next month. Jack was nominated for an historic three Baftas last week; Best Single Drama for Don’t Take My Baby, Best Drama Series for The Last Panthers and Best Mini-series for This Is England ’90. His original four-part series – National Treasure – for The Forge/Channel 4 starring Robbie Coltrane, Julie Walters and Andrea Riseborough, is currently in production. Feature wise, Jack wrote the original The Scouting Book For Boys, and adapted Nick Hornby’s A Long Way Down for director Pascal Chaumeil. Jack continues to write for the stage, where his plays have been performed up and down the UK and abroad. His Royal Court hit, Let The Right One In, transferred to the West End in spring 2014, and in late 2014, his play Hope opened at The Court. The Solid Life Of Sugar Water transferred from the Edinburgh fringe to The National Theatre after a successful tour, and Jack is writing Harry Potter & The Cursed Child for the West End to open this summer. What do you think? Have you read Pullman’s trilogy? Do you plan to tune in for the His Dark Materials TV show adaptation? Tell us. More about: BBC One TV shows: canceled or renewed?, His Dark Materials, His Dark Materials: canceled or renewed? It is one of my favorite series, really excited for it!